For four generations The Bluestone Organization has brought experience and respect for tradition to the field of real estate development. When Jacob Bluestone founded the organization in 1927, he envisioned a real estate development company that would espouse the values of honesty, hard-work, integrity, and commitment to a region’s people and institutions. Norman, Harold and Eli Bluestone expanded the company, making it a leader in the development of the full spectrum of residential housing. A third generation of real estate and construction professionals, Thomas Potvin, Eric Bluestone, Ira Lichtiger, and Sara B. Herbstman, continue to bring to The Bluestone Organization a pool of sound technical talent and a breadth of experience seldom found in real estate today. Steven Bluestone, another third generation member, elected to leave the company at the end of 2016. The Bluestone Organization is a full service real estate development company with experience and expertise in site selection, planning, financing, construction, sale, marketing and management. Through their creative use of building systems and components, they have become an industry leader by creating record-breaking, low-energy consuming buildings at the same cost as others construct standard structures. 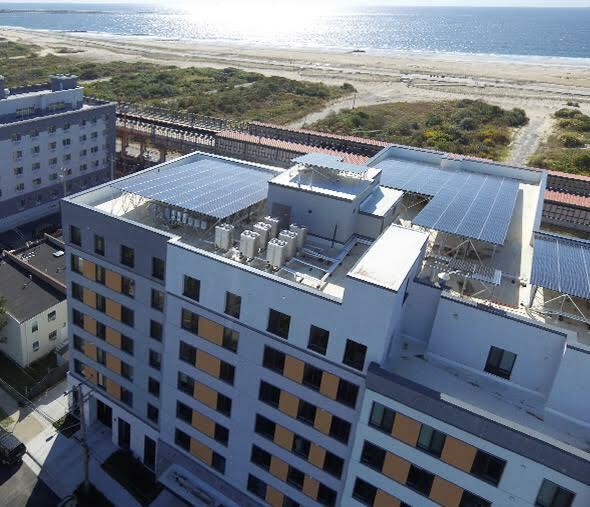 The organization has financed, designed, built and managed buildings throughout the greater New York area including condominiums, coops, rental and mix-use buildings, as well as affordable one, two and three family homes. To date, The Bluestone Organization has built over 5,000 units of housing in addition to 50,000+ SF of retail space.